This traditional styled sofa will take homeowners back in time, to a rich classic heritage with a touch of country charm. 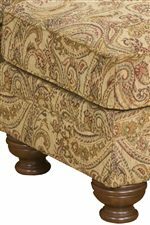 A three seat sofa, this classic couch features elegant rolled arms and traditional bun feet with welt cord trim accenting cushions and couch arms. As stunning in construction as it is in style, this couch features a plush semi-attached seat back that allows homeowners easy access to the areas of this sofa that require the most fluffing. Three high resiliency seat cushions continue this sofa's well-built construction by providing a comfortable padded seat that will stay firm and plush for many years to come. Accented with two complimentary throw pillows that boast a classic shag trim, this traditional sofa is the gem of any living room. 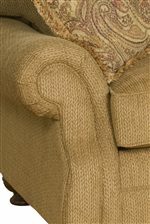 This sofa style is also available with nail head trim. 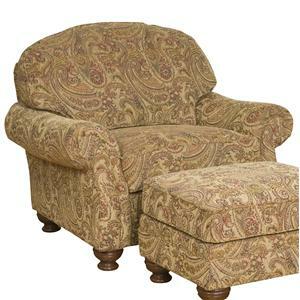 The Boston Traditional Comfort Sofa by Biltmore at Morris Home in the Dayton, Cincinnati, Columbus, Ohio, Northern Kentucky area. Product availability may vary. Contact us for the most current availability on this product. Leg or Skirt Turned Wood Bun Feet. All legs are built-in and double-doweled, glued & screwed to the side rails. 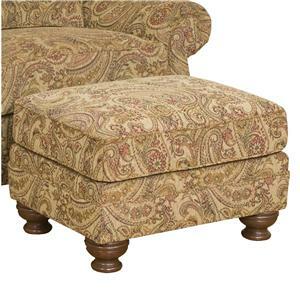 Some sofas feature an additional center support leg. 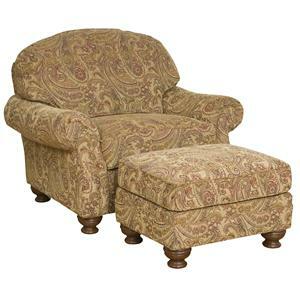 The Boston living room collection seeps with traditional pride for long lasting comfort in the most classic of styles. This living room group, made up of a plush sofa, upholstered chair and classic ottoman, is formed in a beloved traditional style with rolled accent arms, curved back cushions and charming bun feet. The picture-perfect depiction of traditional mid-east, American culture, this living room sofa set is full of historical cultured charm with just a touch of cottage influence. 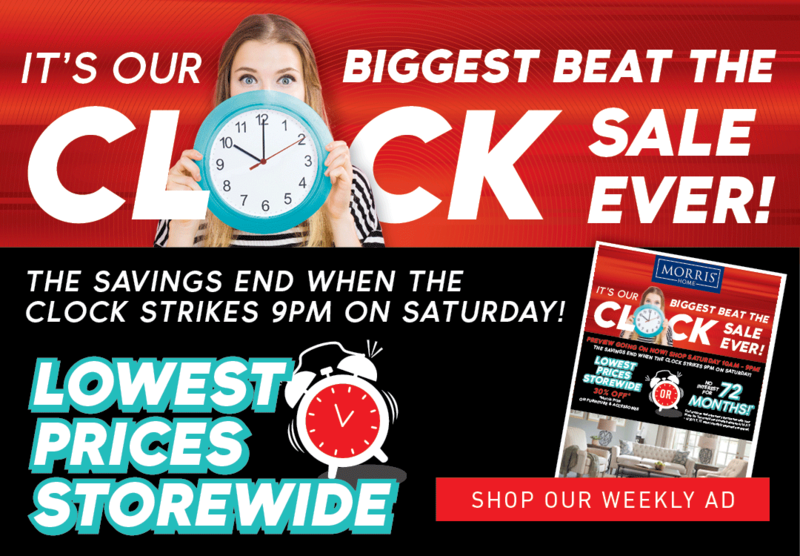 The Boston collection is a great option if you are looking for Traditional furniture in the Dayton, Cincinnati, Columbus, Ohio, Northern Kentucky area. 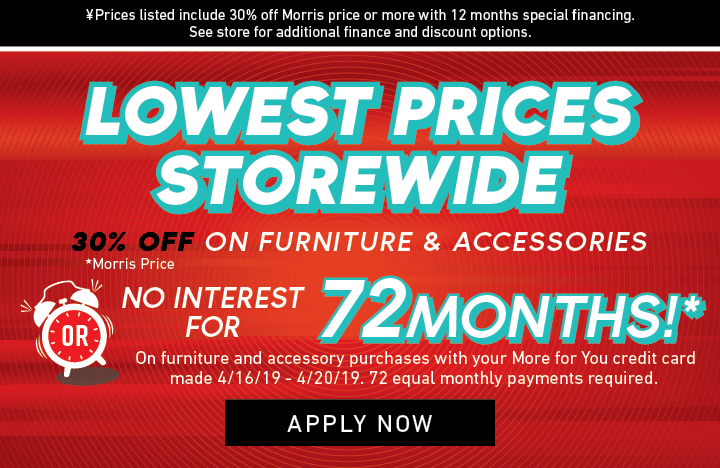 Browse other items in the Boston collection from Morris Home in the Dayton, Cincinnati, Columbus, Ohio, Northern Kentucky area.